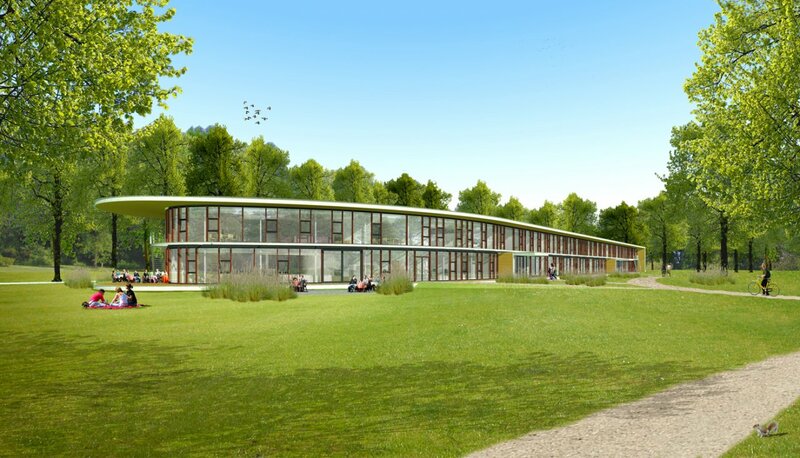 Last Thursday, the construction of the new rehabilitation clinic in Eelde has started. During a festive meeting 'the first pile was struck', after which the administrators of the parties involved: Brands, Lammerink and Arcadis supervised the pouring of the first concrete. The entire construction team was present and there justly is a lot of positive attention for this new building. 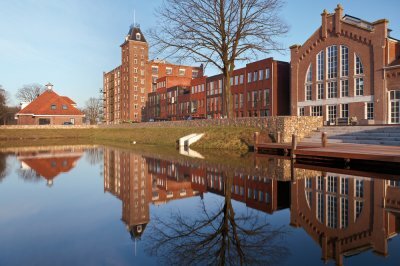 The rehabilitation clinic in Eelde is built on the monumental estate of former Havezathe Oosterbroek. 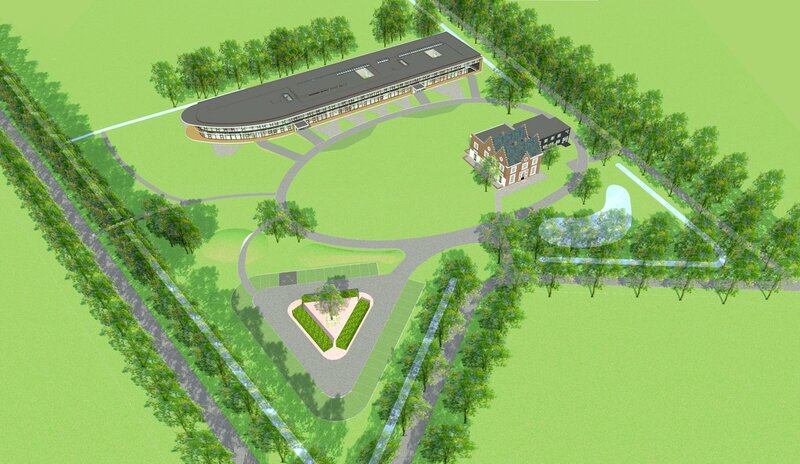 There will be a multifunctional rehabilitation clinic here for youth and adults, including sports facilities. The two-storey linear building is accessible via two entrance halls. 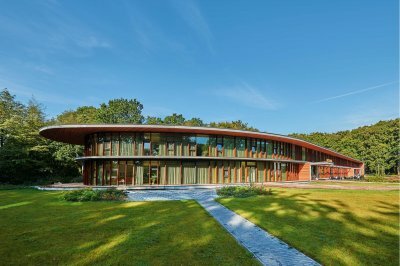 In depth, the building is divided into two zones: along the edge of the forest, at the rear, the bedrooms of all departments are planned side by side, making it possible to exchange them between departments and optimise occupancy. 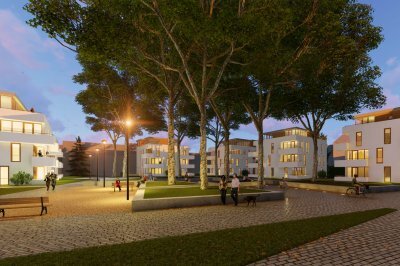 In the flexible zone behind the glass facade, the communal living and treatment areas are planned. The structure is effective, efficient and easily monitorable because of the open sight- and walk lines. Part of the treatment at the clinic is the daily care that the client spends on his room and common rooms. Cooking and other household activities are part of the day programme and so the environment in which this takes place is designed 'just like at home'. The compact layout and the transparency of the design form the basis for the sustainability of this building: the favourable relationship between the floor surface area and the amount of facade reduces the transmission loss of energy, the abundant daylight provides a pleasant indoor climate and a limited use of energy for the lighting. The complex will be completed mid-2015.